Kansas City rapper and indie label owner, Tech N9ne took to social media today to let all his family and friends know that he is alive and well. Just last night, another rapper with a similar moniker transitioned and cause an uproar. Many scrambled trying to place which emcee was in memorial. Tech N9ne, 47, is from Kansas City and founded the mid-west label, Strange Music, dropping content that proved to be the soundtrack for various films, video games, and television shows. The junior Tech, 32, is from Philadelphia and was from that class of battle rappers that easily transitioned from street rhyming to the digital YouTube age. Most unique about Tech 9, the battler, is that he understood the expansive reach of the emerging industry of battle rap. With his vision, he aligned himself with popular rap blogger Jay Blac and created the Champion series. A platform that provides commentary on battles and live events, they to distinguish themselves from the pack by hosting their show in a slick professional talk show style, implementing marketing and production techniques used on networks like ESPN and TNT and combined the passion of Stephen A. Smith, the comedy of Shaquille O’Neal and the energy & beloved-ness of Gene Okerlund. The KC rapper gave a salute to the fallen soldier that shared the same name and also assured his fan base that he is ok. Many other celebrities chimed in with their condolences. Da Bul gonna definitely be missed..
I’m writing this with tears in my eyes & in total disbelief in my heart….. I didn’t cry when MJ, biggie or PAC died… but TECH? The post Tech N9ne Honors Battle Rapper Tech 9, Many More Celebs Chime In appeared first on The Source. Platinum-selling, number one charting Philadelphia legend Cassidy makes his long-awaited return to battle rap next month on Saturday 27 April on the big stage in Atlanta, this time debuting on the SMACK/URL stage vs. Bronx legend Goodz. This will be Cassidy’s first battle since his controversial encounter with Los Angeles- based battler Dizaster four years ago at the FilmOn.TV’s “Ether” event in LA, with consensus giving that battle to Cassidy 2-1 in an overall disappointing battle plagued by technical issues that failed to live up to the lofty hype surrounding such a potential classic showdown. With one of the battles of the decade now only five weeks away, the 27 April event “Resolution” will also feature a stack of other top quality battles making it the battle rap event of the year thus far. The long-awaited rematch battle of SMACK/URLTV.tv’s top gunner Tay Roc vs. the red hot, in form K-Shine has battle rap fans in a frenzy and promises to deliver one of the best battles in years. The indisputable number one new guy in battle rap, Nu Jerzey Twork, has been setting SMACK/URLTV on fire in recent years and faces a formidable opponent in the experienced John John Da Don, who is coming off a great 12 months both on stage and with his Atlanta-based BulllPen Battle League. Big stage enforcer Shotgun Suge takes on the rapidly developing Chef Trez, which will be a great test for the Chef as he has an opportunity to go head to head with one of the most commanding big stage performers in the culture in Suge. Back to back puncher Rum Nitty takes on CaveGang’s T-Top, in a battle that will be interesting to see if the small room (king of the Volumes series) expert Rum Nitty can continue to perform to such a high level in the main room as he has also previously done in the past. Goodz over the last 15 years has battled the likes of URL’s Tay Roc, T-Top, Aye Verb (hosted by Jadakiss), X-Factor, Hollow Da Don, Rone, Hitman Holla, K-Shine, Jae Millz, Conceited, Head I.C.E, Tech 9, Rich Dolarz as well as Cassidy (off-camera) more so at the beginning of his career. Goodz is currently in top form, coming off a very strong performance against Tay Roc in Houston at NOME 8. Cassidy came up in the late 90’s and early 2000s as a feared, tried and well-tested battle rapper throughout Philly and beyond who honed his craft heavily (including famously battling Freeway of State Property) before being signed by Swizz Beats/Ruff Ryders. Cassidy would go on to release three classic albums in the mid-2000s, collaborating with the likes of Styles P, Talib Kweli, Havoc, Nipsey Hussle, Nas, Fat Joe, The Game, Alicia Keys, Murda Mook, Tay Roc and Loaded Lux amongst many, many more. This will be the first time that big room battle rap has reached Atlanta and “Resolution” is shaping up to be a hip-hop event that cannot be missed. Head to Club Mansion for one of the biggest battle events ever held outside New York on battle raps leading platform, SMACK/ URLTV and cop the Pay Per View if you can’t be in the building. Sure to be a night for the history books. The post Cassidy Returns to Battle Rap Next Month Vs. Goodz in Atlanta appeared first on The Source. Philadelphia rapper Cassidy dug extra deep for Throwback Thursday. The hip-hop veteran hit up social media to salute the greatness that makes Remy Ma a true emcee. Cass went to Instagram Thursday with a huge salute to the seasoned rap vet. Recently, Terror Squad leader and Remy’s longtime mentor Fat Joe pulled through to clock in uncle duties with her recently born daughter. Last Christmas, both Remy and her hubby Papoose relied on their Instagram pages to share a sneak peek at their baby girl. All hail THE GOLDEN CHILD!!!!!!!!!!!!!!!!!!!!! Wowwwwwww I still can’t believe it. #blessed #thegoldenchild #blacklove #goldenchildchallenge @remyma Can’t thank u enough! A few days prior, Remy went to social media to update fans on her health after experiencing post-birth complications. 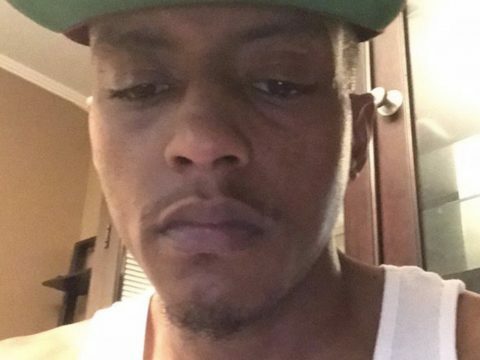 The post Cassidy Shares Throwback Of “One Of The Realest Rappers” Ever: “Not Just Female Rappers, N-‘s Included” appeared first on SOHH.com. Philadelphia rapper Cassidy is 100 percent behind JAY-Z and Meek Mill‘s newly launched criminal justice reform organization. The hip-hop veteran hit up social media to salute the duo on announcing REFORM. Cass went to Instagram Friday (January 25) and reflected on his own past issues with the criminal justice system. This week, Meek Mill teamed up with a few high-profile celebrities including JAY-Z to launch criminal justice reform organization REFORM. At REFORM, we #FightDifferent. Our collective disgust with the current state of the American criminal justice system is creating a powerful, growing alliance that spans different backgrounds, industries and political beliefs. We are bringing together leaders in business, government, entertainment, sports, technology, art, and culture to give voice to the voiceless. We won’t stop until we’ve changed the laws, policies, and practices that perpetuate the horrific injustice we’re seeing in America. The Alliance started with the unjust re-imprisonment of recording artist @MeekMill due to minor technical probation violations. The shocking two-to-four year sentence Meek received in November 2017 spurred the international #FreeMeek movement, which led to his release on bail in April 2018. Although Meek had the resources and public platform to fight his case, he and the other founders recognized Meek’s case is only one of millions – and that the vast majority of people trapped in the system don’t have the resources to fight back. After Meek’s release, we joined forces and committed to changing mass supervision laws (probation and parole policies) that will have the greatest impact on the largest number of people. The mission of the REFORM Alliance is to dramatically reduce the number of people who are unjustly under the control of the criminal justice system – starting with probation and parole. To win, we will leverage our considerable resources to change laws, policies, hearts and minds. A few hours prior, Meek hinted at plans about launching the new criminal justice reform organization. The post Cassidy Co-Signs JAY-Z & Meek Mill’s REFORM Launch: “I’ve Been Falsely Accused Several Times” appeared first on SOHH.com. The post Five Rap Battles Announced That We’re Looking Forward to in 2019 appeared first on The Source. Philadelphia native Cassidy knows he’s nice-nice with the lyrical slaughter. 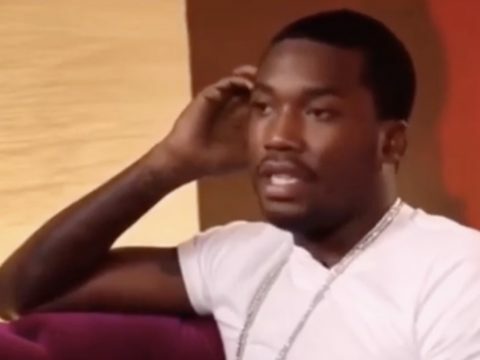 The hip-hop veteran has shared footage of Dreamchasers boss Meek Mill saluting his battle skills. 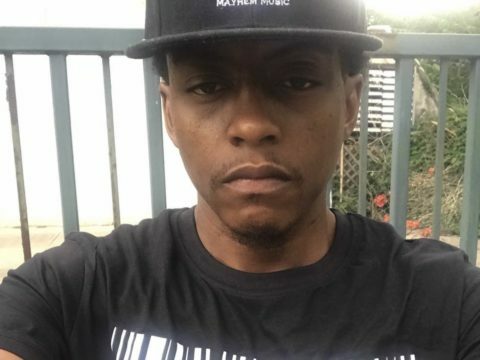 The post Watch: Cassidy Shares Footage Of Meek Mill Basically Calling Him King Of Battle Rap appeared first on SOHH.com. Well, #BARSISBACK. At this point of his rap career, Cassidy is staunch on strictly feeding the mouths of lyricist lovers and he is taking a route rap fans to favor his presence, the battle rap arena. This past weekend, founder of the Ultimate Rap League, Smack White made an official announcement confirming the Philly rap veteran’s position to battle on SMACK/URL. According to Smack, Cassidy will officially return the ring in 2019. Despite not having a grand presence in modern-day battle rap culture, Cassidy has managed to participate in battles that are deemed iconic. Primarily, in the infancy of his hip-hop coming with fellow Philly rap veteran Freeway and his most recent match against battle rap notable, Dizaster. Back in June, he shared a telling video hinting a return to the ring under the guise of surprise. Ever since the boom of social networks, especially ones with a strict visual appeal like Instagram, Cassidy (in a respective right to being lyrically inclined), took on and marbled the phrase #BARSISBACK, insinuating an unapologetic return back to the mic. Periodically sharing several off-the-tops on his social media feeds, the “I’m a Hustla” spitter clearly has not lost a step in his rhythm and has even showcased a grand sense of evolution in overall content. Call it an upgrade, but with bars marbled in a message along modern-day corruption, street realities, and hip-hop controversies, Cassidy is beyond equipped for the battle arena, once again. The post Cassidy Confirms Official Return to Battle Rap in 2019 with URL appeared first on The Source.